Affiliate marketing is one popular way to make money online. The process is very simple: Join an affiliate program, get your affiliate links for a specific product, send traffic to them and when someone buys it you earn money. 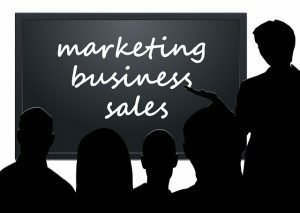 Many online marketers use affiliate marketing as their main source of income but many beginners fail. For this reason I have written this article, I will show you how to learn affiliate marketing for free. Starting for free takes more time than investing some money but if you are a total beginner it would be a nice idea to learn some skills before investing in some useful products or services (domain name, web host, keyword tool etc.). These programs use different ways. If you click the links you can read my reviews. I recommend Wealthy affiliate because has an active community where you can ask for help anytime you want, updating regularly and their way seems to be more effective. Chris Farrel Memberships has not a free trial but a 4,95$ trial for seven days. Wealthy Affiliate and Affilorama offer a free membership until you decide to upgrade. In Wealthy Affiliate, you can build two free websites too. After joining a free program, learn as more as possible but with a right way. Not just random information but while you follow the training, start practicing. If you watch a video on how to build your first website, take action. You will learn some new skills soon. For example in Wealthy Affiliate, you will learn how to build a website, make keyword research, create content and many more. The only way to improve consistently these skills is with practice. I would also recommend you to focus on the program you have joined for a while and do not get distracted with additional information. After you have learned the basics and get some skills, you can start reading new stuff. Avoid to get confused or get too much information. One step at a time. I have mentioned this tip many times before. The beginners who ask frequently when they have a problem, improve their skills faster than them who do not ask. It results to earn money faster. Also, some of the people who do not make questions tend to fail and give up more often. If you have joined one of the training programs above make your questions inside these programs. Other options are forums, social media and emails if you follow a list. But you need to be sure that the person who answers you, know what he is saying. Do not expect to make money overnight. When you build a website, it takes a while to get organic traffic. The same applies for an email list, you will not make sales with 20 subscribers but with many more of them. Keep building and growing your online business patiently, enjoy the process, improve your skills and learn new ones. After that, you will start getting traffic and make some sales but it will happen slowly. If you want to help you personally, leave me a message on my Wealthy Affiliate profile. For any questions on this article, leave your comment below. P.S Can I Send You An Email? Once a week or so, I send to my 200+ loyal subscribers my latest articles. I will not spam you, I just send my content. Subscribe Here.